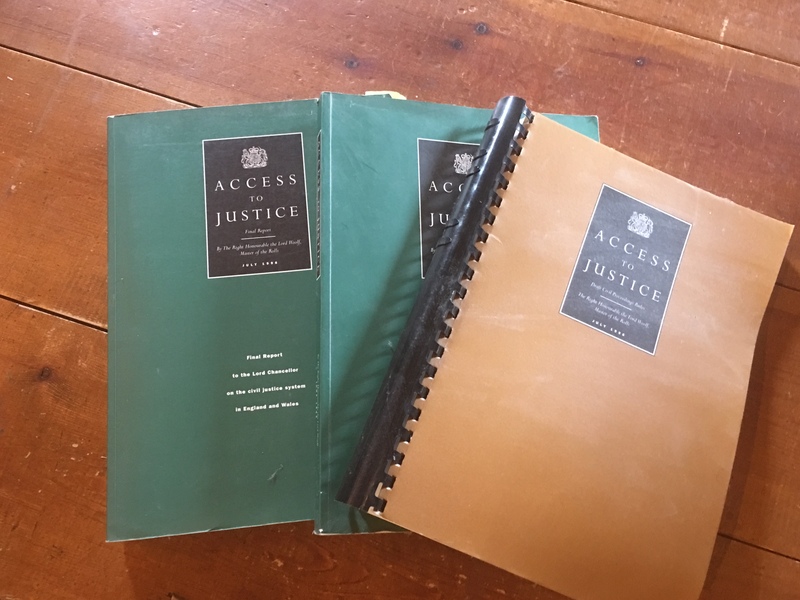 This month sees the 20th anniversary of the Civil Procedure Rules coming into force. This is a good time to invite practitioners (and judges if they are so minded) to look back at the old rule and the “new” rules and see whether they have been a force for good. An invitation has gone out to the lawyers on Twitter (and remains open until the 26th April, the actual anniversary). As ever replies are helpful, characterful, sardonic and illuminating. How about a collection of stories/tweets about the experiences you would like to share (or not share) about our oh-so- user-friendly civil procedure rules. What have you learnt (the hard way or otherwise)? Any funny (or not so funny) stories? Alternatively what do you miss about the old rules? I think changing “plaintiff” to “claimant” was a major mistake. It has resulted in some thinking they are making an insurance claim (e.g. when your carpet is flooded), because there happens to be an insurer involved, instead of bringing a civil action for damages. By equating the two types of “claim” – in some people’s minds – it diminishes what we as lawyers do and the seriousness of the process itself. I hate the word “claimant”. Bring back “plaintiff”. Likewise replacing Third/ Fourth Party with the clumsy mouthful First Part 20 Defendant etc. Although the mistake was realised and we reverted to the old terminology in 2006, inexplicably the Court forms still have the clunky wording. It brought about the revolutionary concept of exchanging witness statements. No longer did you turn up for Trial to be faced with 5 witnesses you had no idea existed, and no idea what they were going to say until they went into the box. Great times! I miss being able to argue with people about how you pronounce mandamus and certiorari, a source of major disagreements between those who had been to posh school & done classics, & those whose knowledge of Latin was derived from singing it (me). I sat my LPC exams on the pre-CPR rules after the CPR had already started (slashed my tendons so sat the first attempt late). That was a bit irritating, to say the least. No SJEs. Two experts of each discipline in minor PI cases. Experts routinely churning out medically dubious, intellectually dishonest reports coming to wildly different conclusions from their counterparts on “the other side”. Thank goodness we’ve been relieved of that caper. Part 35 is half decent, but not proportionately enforceable in low value litigation. Part 36 has had its teeth filed, drawn, replaced (and repeat). Part 18s are ignored. Part 44 tells us nothing that we didn’t really know. Case management has been lauded and then neutered by the unavailability of court time. And costs have soared. I’m going to go as far as to say that the marginal gains offered by CPR have been more than offset by other changes in the legal system and that we are considerably worse off than we were in 1996. Remember the book wars in 1999 – White v Green v Brown? Automatic strike out after 15 months…..Ooooh, we did laugh!